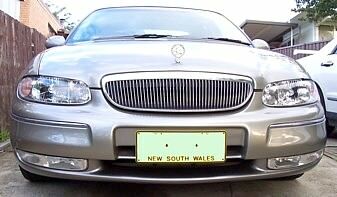 Discussion in 'VT - VX Holden Commodore (1997 - 2002)' started by sic346, Jan 16, 2013. Went to close my fuel flap to find that I will no longer latch shut. It appears the little latch on flap is not hooking onto the little flap release part. It's like something has come off the little release part bit as the actual flap itself appears to be fine and nothing broken. When I look closely as i try to shut the flap, it's like the release bit attached on the left side just don't hold the flap latch? So now I'm having to push and fiddle with the flap so it holds shut but coz its not latching shut it pops open and of course at night some dim witts are trying to bust open the petrol cap (I have a locking fuel cap with key) and steal the fuel or tamper with the fuel. Anyone else had this happen to them? How to fix? What's the little black bit on inside left of actual fuel opening that holds the flap locked shut called(fuel release bit???). SIC346: 220/224 with .575/.575 lift on 112 lobe lunati cam, isky 165-A ovate wire springs, Crane lifters, COMP magnum pushrods, 30 thou shaved 3 angle grind bowl blended heads, 36lb FAST injectors, ported tb, Otr, Lukey hpc tri-y's into metal 200 cell hi flow cats and out thru X-Force twin 3" exhaust, 2800 Hi Stall, 3.46 diff gears, EFI Live tuned by oztrack using remote cal device. Is the fuel flap lever in the car all the way down? Maybe something has fallen in the gap and is stopping it from returning fully, a coin maybe. Thanks mate, I checked it out and played with the lever and found that it was not returning fully as u said. The little black bit inside fuel flap was not quite popping back out to the full length. I may just need to pull it out at times but it closes now. On ya mate cheers !! !